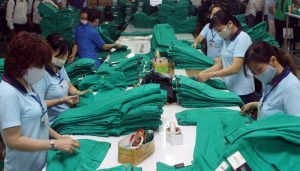 Vietnam gained a year-on-year increase of 24.88 per cent in textile and garment export to South Korea that was worth $1.5 bn between January and July this year, according the country’s department of customs. China and Vietnam were the two largest garment suppliers to the South Korean market, accounting for 34.46 per cent and 32.67 per cent respectively. The export value of those products to the South Korean market reached $270.7 mn in July, a rise of 24.18 per cent over figures in June this year and 24.06 per cent over figures in the corresponding month last year, according to a report in a Vietnamese. South Korea became the fourth largest export market of Vietnam, reaching $2.7 bn in 2017. According to the country’s industry and trade Ministry, the strong growth in exports to South Korea was primarily due to the high competitive ability of Vietnam’s garments and higher spending of consumers in that market. Tariff preferences from the free trade agreement between both the nations also helped. By the end of this year, Vietnam’s textile and garment exports to South Korea are expected to rise by 20 per cent year on year.